It’s no surprise that I’m a big fan of getting familiar with our emotions and I also think it’s really important for children of a young age to begin to understand their emotions and how to manage or experience them safely. This picture book by Richard Jones & Libby Walden is completely perfect. Rather than a traditional story, each page describes a different emotion in a beautifully lyrical way. Using a variety of lovely metaphors (water for sadness, an emerald mist for envy, a steel drum party for happiness etc) the writer explains our strongest feelings in a way that is really easy for a little mind to understand. I believe that part of why our little ones tantrum is because they feel anger, fear or embarrassment but don’t recognise what those reactions are and so aren’t able to deal with them the way adults can (well, sometimes can). The illustrations really complement the poetic narrative and help to bring the analogies to life. 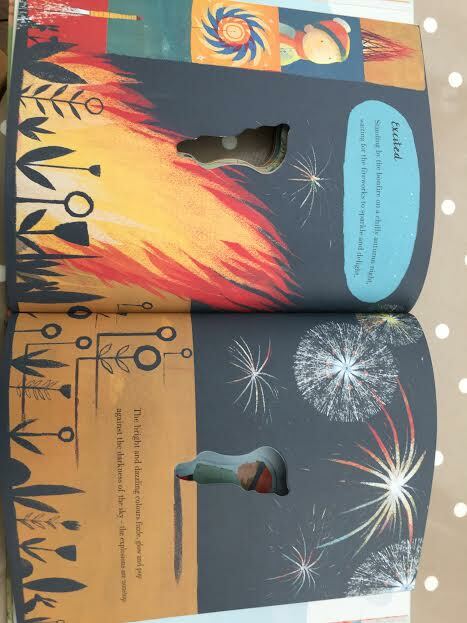 I love that each page has a very distinct theme; a dark forest for fear or fireworks for excitement – makes it so relatable. I even think this book benefits us as adult readers because it’s easy to get caught up in our moods and we all need to take a step back from time to time. With slightly older children, it can sometimes be tricky to get them to discuss or understand how they feel but this book is a great way to open the lines of communication between you. 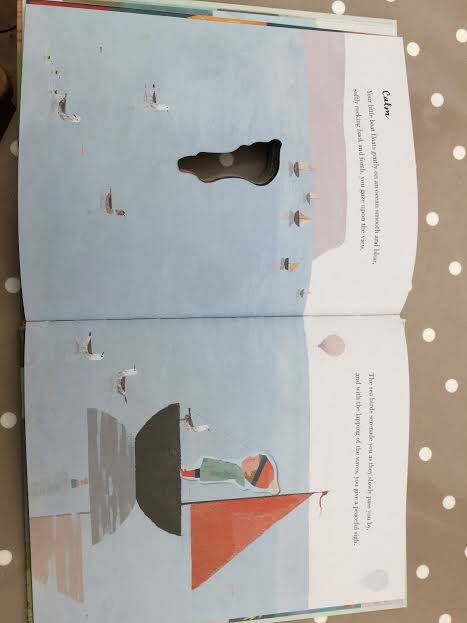 The cut out shape of the little boy is the one permanent feature through every page and this does a great job of keeping the feelings being described centered on the mind and body of one central character. He is stationery while the emotions swirl all around him and frequently change, which is a great description for our feelings really. The closing message acts as a reminder to our children that they should always respect the feelings of others as well as their own because they are very important, which is a lovely message for a preschooler. I would say 3-6 years old is the ideal age for this book if you’d like your child to get the maximum from it. The idea behind the book is to break down stigma around children’s mental health, and this is a brilliant cause. But I believe there is definitely something here for all children to help them learn about themselves and grow up stronger. Find out more about Feelings at Little Tiger Press. 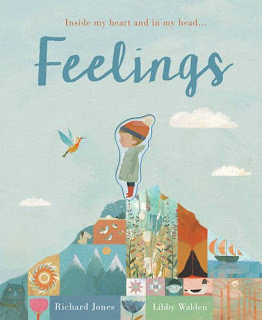 Or if your little one would like to draw a picture of how they feel at any given moment you can share them on Twitter as part of the author’s campaign using #FeelingsBook. That does look like an awesome book. I love the cut out child too, it really is a great way of understanding that we are always the same person, but our feelings alter. A lovely book review too – thank you. Jenny @ thebrickcastle recently posted…12 Healthier Lunchbox Snacks On Test – Will The Kids Eat it? This sounds like a great book and interesting one too. This looks like an absolutely beautiful book. I like that it helps children to understand feelings too. Thanks for linking up to #kltr.